Towel, 2-Ply Tissue and Poly, 18'' Length, 13'' Width, Lavender by Tidi at Get Cheap Health Insurance. MPN: 917459. Hurry! Limited time offer. Offer valid only while supplies last. Reliable 2 ply poly-backed strength and fluid holdout for effective hygiene. 100 percent recycled fiber.. 2-Ply. 13 inch. 18 inch. Pack of 500. . Reliable 2 ply poly-backed strength and fluid holdout for effective hygiene. 100 percent recycled fiber.. 2-Ply. 13 inch. 18 inch. 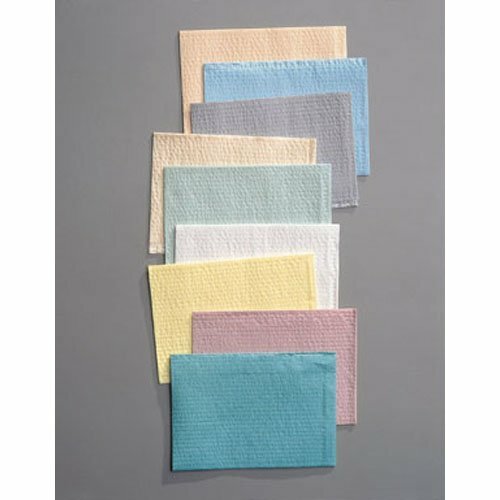 Pack of 500. . TIDI Products 917459 Towel, 2-Ply Tissue and Poly, 18" Length, 13" Width, Lavender (Pack of 500). 917459. Country of Origin : United States. If you have any questions about this product by Tidi, contact us by completing and submitting the form below. If you are looking for a specif part number, please include it with your message.